The FBI says one of its agents has shot and killed a man, who turned violent while being questioned about the Boston Marathon bombings. 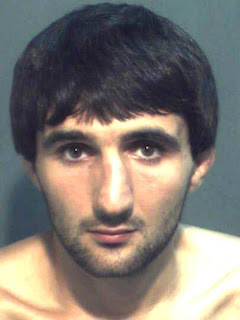 He was reported to be 27-year-old Ibragim Todashev, a Chechen who had previously lived in the city. The shooting happened in Orlando, Florida. The 15 April bombings left three people dead and 264 injured. Two brothers identified as suspects were also ethnic Chechens. Tamerlan Tsamaev, 26, died in a gunfight with police. His brother Dzhokhar Tsarnaev, 19, was found hiding in a boat in Watertown, Massachusetts four days after the bombings. He was charged with crimes that could carry the death penalty if he is convicted. Un amico dei due fratelli sospetti autori dell'attentato di Boston è stato ucciso da un agente dell'FBI durante un interrogatorio. L'uomo, un 27 enne di origine cecena , si sarebbe avventato sull'agente nel suo appartamento di Tampa in Florida. L'attentato del 15 aprile scorso provoco' la morte di 3 persone e il ferimento di altre 264.